1 Scrub potatoes and boil for about 20 minutes in salted water. Drain, peel and cut into slices. 2 Peel cucumber, cut in half lengthwise and remove seeds. Cut cucumber into slices. Mix broth with 1 teaspoon wheat germ oil, salt, pepper and dill. 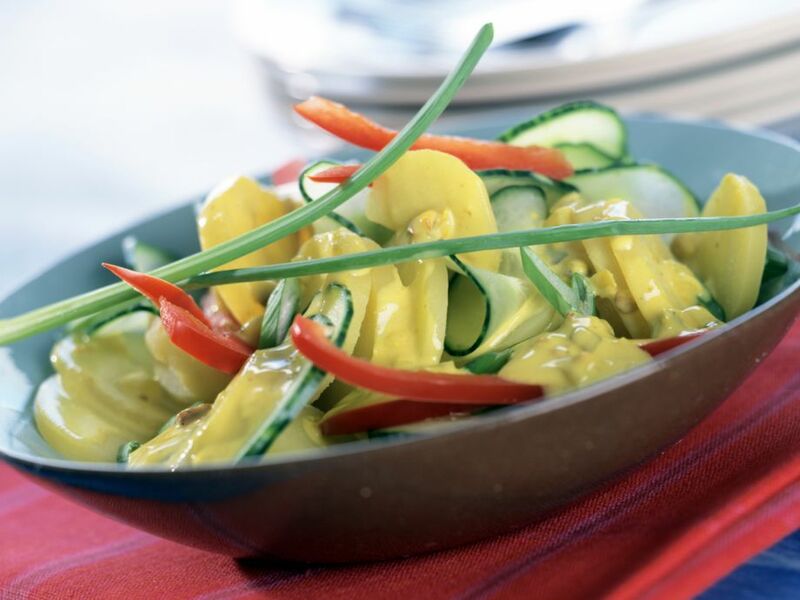 Toss potatoes with cucumber and marinade. 3 Mix yogurt with remaining oil, lemon juice, salt and pepper. Serve salad with yogurt. Sprinkle pumpkin seeds and chives over the top.